The M140i may have the highest sticker price but, thanks to hefty dealer discounts, it’s actually the cheapest of our trio to buy if you’re paying cash. 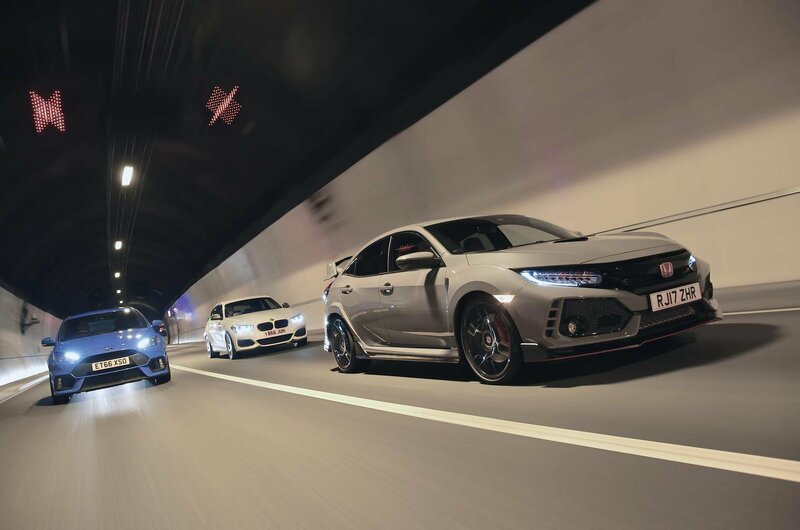 Our Target Price team couldn’t haggle a penny off the limited-supply Focus or the brand new Civic, meaning the latter will make the biggest dent in your wallet at the outset. 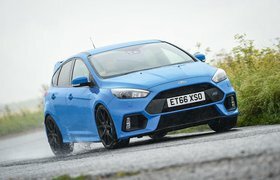 The flip side is that the Focus and Civic are predicted to be worth more than their German rival when you sell after three years. In fact, take into account all the bills you’re likely to face during that time – depreciation, insurance, servicing, tax and fuel – and the Focus will actually cost you the least to own, despite the fact that it’s the thirstiest of our trio in real-world driving. 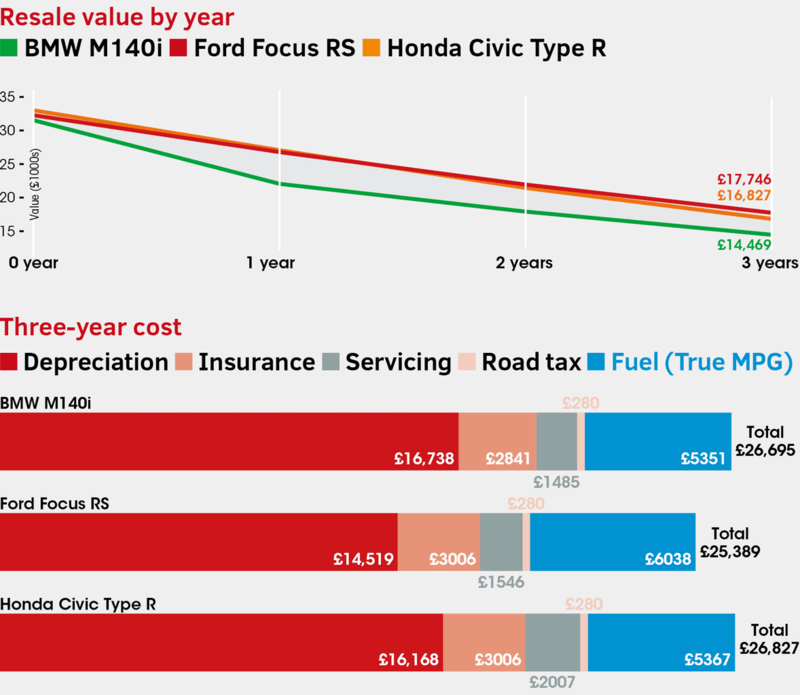 The Civic will cost you the most to own privately, mainly because it’s the most expensive to start with but also because of steep servicing bills. Not that many buyers will have the wherewithal to pay the whole balance up front, mind; the majority will choose to put down a deposit on a PCP deal and pay a monthly fee. This type of fi nance deal gives you the fl exibility to either buy the car at the end of the agreed term by paying a fi nal lump sum or use the equity you’ve built up as a deposit on a new car and start the process again. Buy this way and the Focus offers by far the cheapest monthly repayments, with the Civic again coming in as the most expensive option. Expensive the Civic may be, but at least you get lots of standard luxuries. In fact, there’s really no need to add any extras apart from perhaps metallic paint. If you’re choosing the Focus, you’ll want to at least add the £1000 Luxury Pack, which bundles together cruise control, rear parking sensors, power-folding door mirrors, tinted windows and keyless entry. On the stingily equipped M140i, expect to spend nearly twice that on extras if you want your car to be easy to sell on in the future.